Are you looking to relish high quality and authentic Indian food at cheap price? 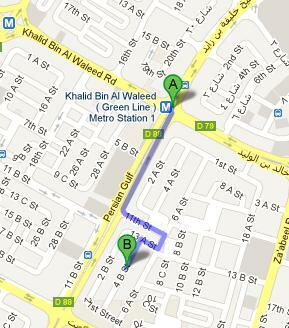 Rush towards Bikanervala Restaurant that is located in Al Karama community of Dubai! This eatery has been delighting the inhabitants of this area for quite some time now. During this time period Bikanervala Restaurant has been able to fully satisfy and sate their guests by providing mouth-watering Indian, Chinese and continental delicacies. Clients can savour these tempting dishes in a cosy and relaxed environment of this bistro that is not hard to locate and can be easily accessed as well. In short, this restaurant is a good value for money and one will really enjoy having food at this spot. This family friendly restaurant have authentic Indian dishes on its menu, which includes both Northern and Southern dishes of the region along with Chinese and other continental cuisines. Specialities of this venue are various, chaat combinations, dishes that include fried doug and tandoori items etc. Regular beverages are also served to the clients with the food at this bistro. Aside from dining-in, several people also avail its take away service, as the food of this eating place is extremely delicious and worth the value. Click here to see the dishes offered at this restaurant. 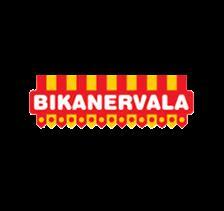 Bikanervala Restaurant opens six days during a week from Saturday to Thursday and it operates from 9:00 am till midnight. Al Shafar 4 B Street - Dubai - United Arab Emirates. Head south towards Sheikh Khalifa Bin Zayed Street/D 88, the turn right onto Sheikh Khalifa Bin Zayed Street/D 88, after that take the left turn onto 11th Street, from where turn right onto 6 A Street and later turn right onto 13 A Street that will lead you to a left turn, which goes onto 4 B Street where your destination is located on the right side. Karama, Dubai Municipality Center 2 – Dubai bus stop is served by bus numbers 88, 91, C14, C15 and C26, therefore guests of Bikanervala Restaurant would not face any problem in reaching this site, from where they need to cover 400 metres distance to arrive at this bsitro. On foot this journey can be completed in 5 minutes, if a person head west on Kuwait Road from this bus stop and then turn right onto 6 A Street. Then turn left onto 21st Street in order to turn right onto 4 B Street, where destination is located on the left side. See the map for directions.